Here is a pic of the Maratac AAA flashlight, which is worn daily around my neck using a piece of paracord. That might seem strange to most people to have a little flashlight hanging around their neck, but seriously I have gotten so used to having it there, that if I go to grab it and it isn't around my neck, I feel lost! I use it every single day, whether it be for looking into dark corners when I'm housekeeping, finding my way around outside at night, looking for something inside my van in the dark, or looking down to check something out inside my vehicle engine compartment. It only takes one AAA battery and has 3 different brightness settings that can be changed with a simple twist. 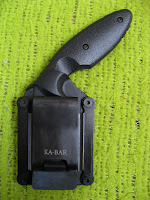 My KA-BAR TDI Law Enforcement Straight Edge Knife ... 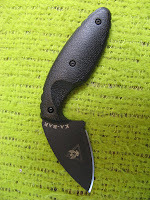 When I am conceal-carrying my Ruger LCR behind my right hip, I wear this knife behind my opposite (left) hip. 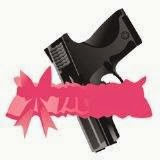 Mainly as an alternative/backup form of protection, but also in case I were to ever get into a struggle and the perpetrator were trying to grab my gun. 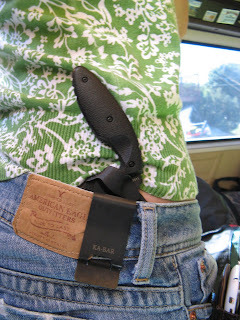 I could then hold my gun into its holster with my right hand, while using my left hand to grab my Ka-bar and defend myself... 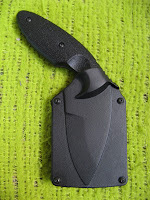 It came with a kydex sheath that makes it easy to un-holster and re-holster without cutting myself, and it is also surprisingly comfortable to wear. You can switch it around any way that you want, so it can easily be worn IWB (in the waistband) or OWB (on the waistband). 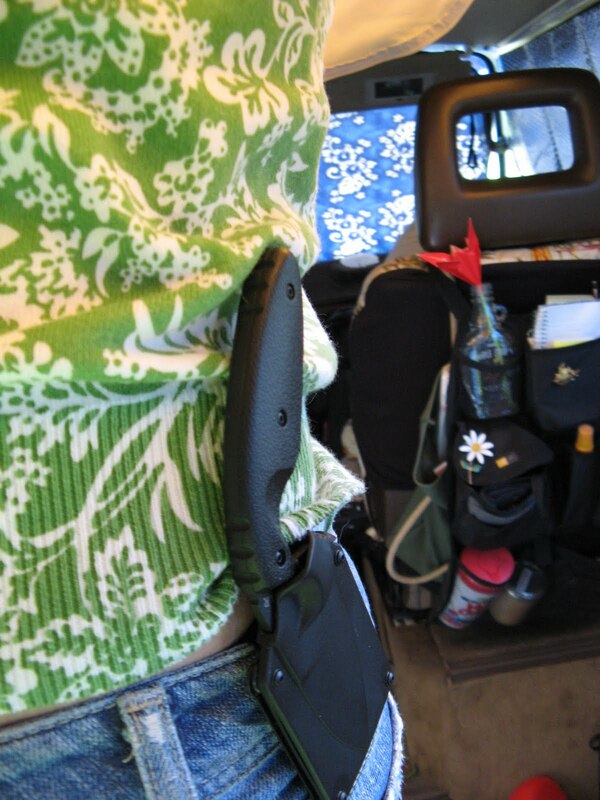 Normally I prefer IWB b/c I can easily slip my shirt right over it, allowing it conceal quite a bit better. That is awesome about the garden. I have a small raised garden in my backyard and every year I plant tomatoes. The next year there are always a few starts that come up from seeds from dropped tomatoes from the year before. Radishes seem to be the easiest vegetable in the world to grow. I can't seem to go wrong with them! I almost bought the same flashlight myself, as I seem to have developed a flashlight fetish, but I resisted the urge. JTC - lol. Excellent connection. Let's hope for no red. Jeffrey - yeah, totally stylish hat. I think last time I saw him wear that hat was when he was on stilts in a parade. Nice, same knife AND a AAA flashlight "necklace"? You rock. As for looking one with nature, yup, that's me! Todd - thanks! I like sunflowers. I have a knife like that. I love coming to your blog to dream. One quick stop get's my brain going for a steady 4 hours. Roosterruler - sweet, what does it get you dreaming about? Your color with the screen is a problem with video card hardware or the driver itself. Check the name and manufactuer of graphic card. Then go to the appropriate website and download the latest driver. you can also run diagnostic utility press start,run type dxdiag press enter. If you still have any problems then you will know. Is the AAA flashlight an l.e.d.? Again...good for you. 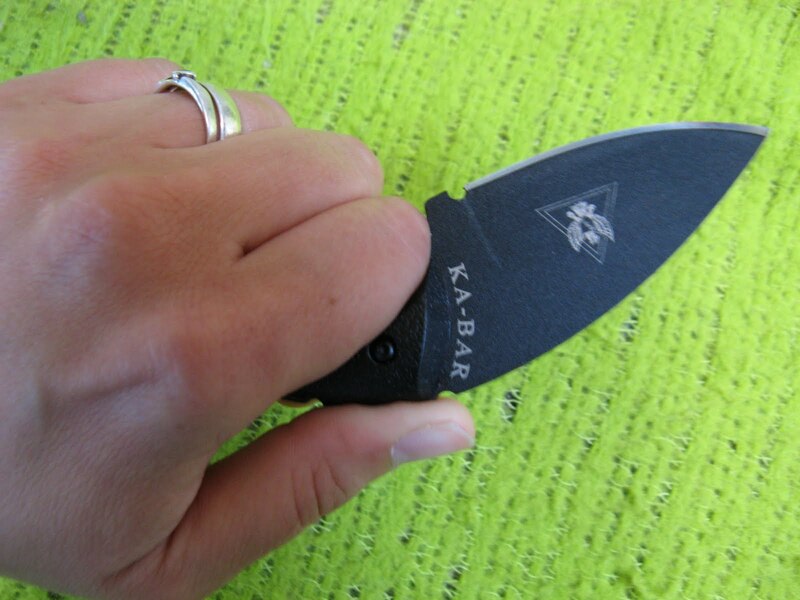 Too many people forget that a knife is the most handy basic tool to have on their person. I carry three usually. Glad you are doing well and thinking of the basics. Thanks for all your posts and videos - good stuff - BRAVO! Comment about the TDI - if you wear these in brush they snag a lot and disappear unnoticably. 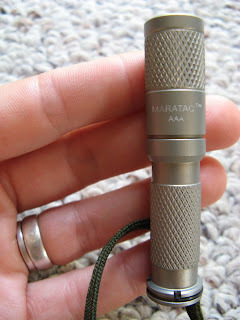 I read your whole review than I realized that Maratac AAA flashlight is the best flash light. It is small. It has stylish design. Thanks for your great review. Hi, sorry for disagree. I don't like AAA flashlight. It's size much bigger than AA flashlight. For pocket flashlight i love to use AA batteries. Although your reviewed flashlight is looking good. I think this one is a waterproof laser light because you told that it is for rescue and has a night vision. This thing is great for outdoor camping. Super splendid LED flashlights, all the more generally known as lights are by a long shot brighter than the standard glowing spotlight knob. Super brilliant LED flashlights may come in numerous varieties with various quantities of LED globules introduced. I have couple of Led flashlight. It really works great to me. 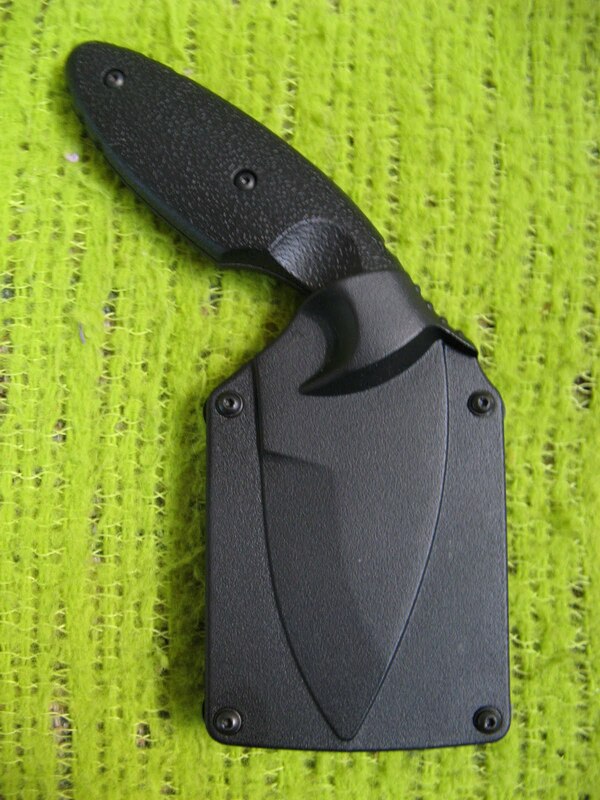 It is very helpful for any kind emergency situation. Super mind blowing LED flashlights, more for the most part known as lights are by far brighter than the standard gleaming spotlight handle. Super splendid LED flashlights may come in various assortments with different amounts of LED globules presented. Awesome videos and a very informative post on tactical flashlights. I've been using LED flashlights forever and like your review you've done. I feel similar and really like the smaller size as they are more convenient to carry if I'm hunting or even in a tactical setting - smaller is okay provided the lumens are high. Enjoy yours! Super splendid LED flashlights, all the more usually known as lights are by a long shot brighter than the general glowing spotlight knob. Super splendid LED flashlights may come in numerous varieties with various quantities of LED globules introduced. Suddenly one day, you feel yourself in ultimate darkness and you don’t really realize where your candle is that’s the time when the tactical flashlight reviews is going to be your savior. Of course any flashlight reviews would do but I am sure you would want the best for your safety and adventure. Great article about Ka-bar TDI Knife & Maratac AAA flashlight.tactical flashlight is best for regular flashlight its lumens is high compared to simple flashlight.whether you trap in a bad place or natural disaster.so best tactical flashlightsare always play a best role under these conditions.